In Asia, rice and wheat are the two major staple foods ensuring the food security of almost 57 per cent of world’s population and livelihood of 80 per cent of small holder farmers of the world. Recent concerns about food security and food price volatility have highlighted the critical role of cereals for both food and nutrition security of the poor and vulnerable. In Asia, attention has remained focused predominantly on rice as the region produces almost 80 percent of global rice. However, the importance of wheat in Asia – which supports the livelihoods and provides assured income to a large number of poor, small-scale farmers – has largely been overlooked. World will need around 1090 million tons of wheat by 2050 to meet the growing needs from its current production level of 680 million tons. To meet this demand, developing countries should increase their wheat production substantially and more than 80 per cent of production increase in developing countries should come from vertical expansion. 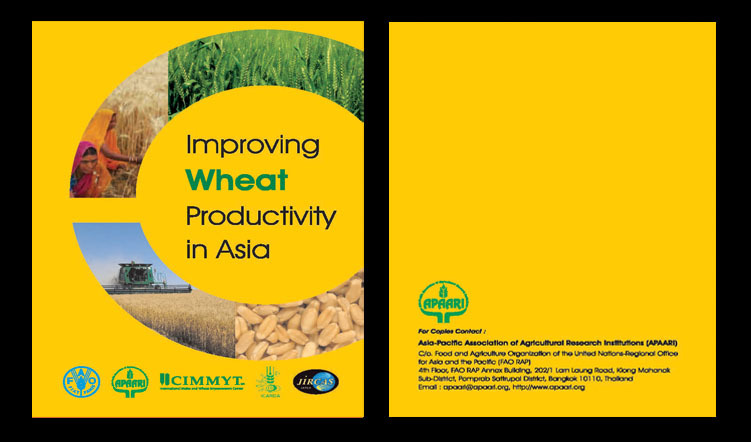 The production target has to be achieved especially when productivity growth in wheat has slowed down and the average productivity of Asia is even lower than global average. 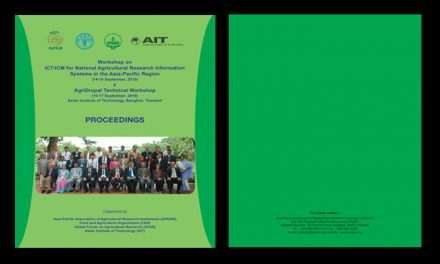 To address above concerns, a regional consultation on “Improving Wheat Productivity in Asia” was jointly organized in Bangkok, Thailand on 26-27 April, 2012 by the Food and Agriculture Organization of the United Nations (FAO) and the Asia-Pacific Association of Agricultural Research Institutions (APAAR1), in collaboration with the International Maize and Wheat Improvement Center (C1MMYT), the International Center for Agricultural Research in the Dry Areas (ICARDA) and the Japan International Research Center for Agricultural Sciences (JIRCAS). 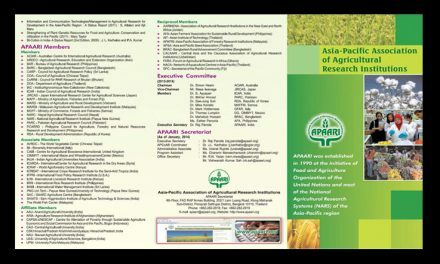 The consultation was attended by 53 participants representing national agricultural research systems (NARS), CGIAR Centers, FAO, APAARI, non-governmental organizations, farmer organizations and the private sector. It provided a platform to all the stakeholders to share their knowledge and experiences, learn from lessons, assess future trends and prepare a road map to accelerate the overall production and productivity of wheat, taking into consideration the impacts of climate change and (he declining natural resource base. The consultation covered five technical sessions: i) strategy for increasing wheat productivity, ii) national/regional wheat scenario, iii) managing wheat diseases, iv) stakeholder dialogue, and v) addressing emerging challenges. In addition, two Working Groups on: a) research priorities and need assessment, and b) development initiative for inclusive growth were held to identify policy, research and development needs. The in-depth discussions helped in bringing out key recommendations to overcome the challenges and enhance wheat production and productivity in the region. We welcome the decision of the consultation to have a Regional Wheat Alliance (RWC) established to promote wheat production in the region through an integrated manner, ensuring required policy framework and e-networking. We firmly believe that this initiative will help in strengthening wheat research and development activities and their effective linkages in the region. 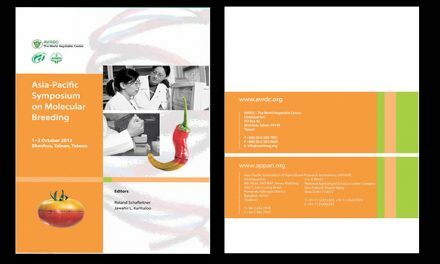 This publication includes the recommendations and extended summaries of invited papers presented in the regional consultation. We appreciate the valuable contributions of the speakers and other participants in making this event a success. It is expected that the investment in wheat research and development will receive high priority in future food security agenda at the national, regional and global levels. 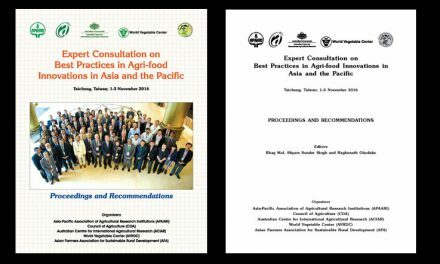 We hope that the recommendations of this important and rather timely regional consultation will draw attention of policy-makers, administrators, researchers, farmers and other stakeholders alike in implementing them to increase both wheat production and productivity in Asia.